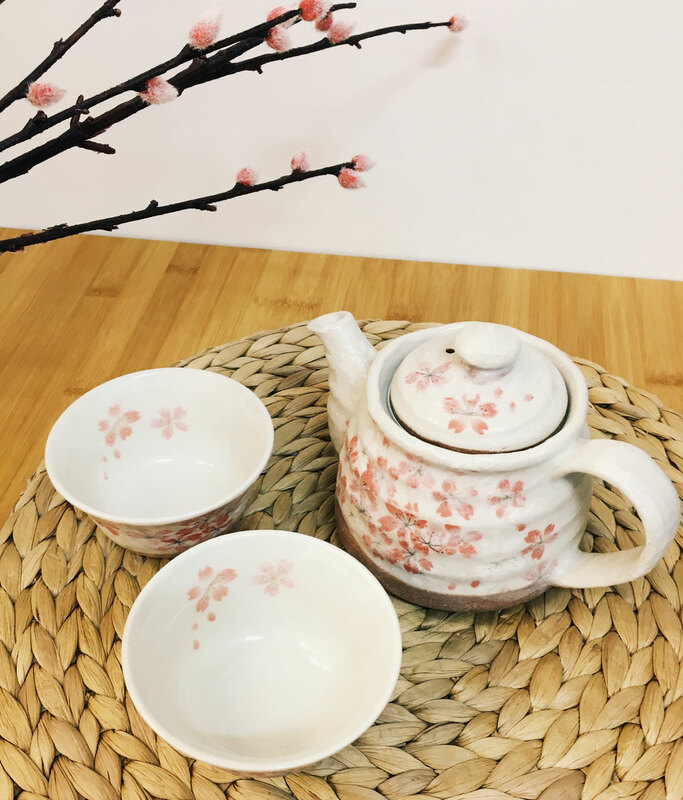 Set of two cups and teapot, made with off-white clay with a smooth finish and vibrant flower print. 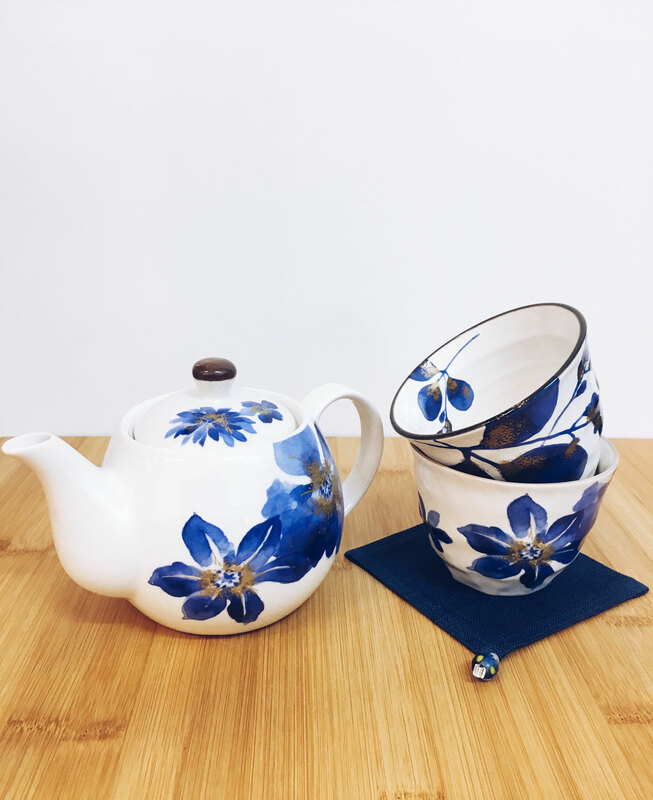 Elegant indigo flowers design, Clematis, Chrysanthemum and Japanese Clover. 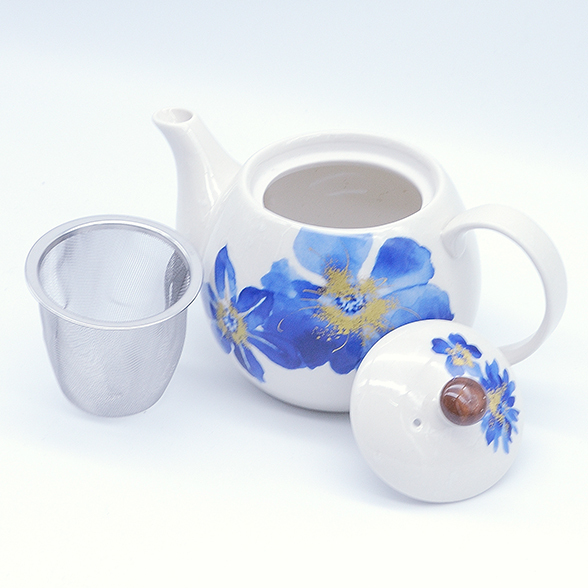 The tea pot has a filter inside for your favorite loose leaf tea. 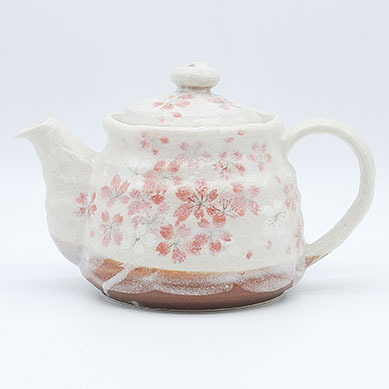 Delicate ceramic teapot designed with beautiful irregular organic shape, pink sakura flowers and white frosting finish. 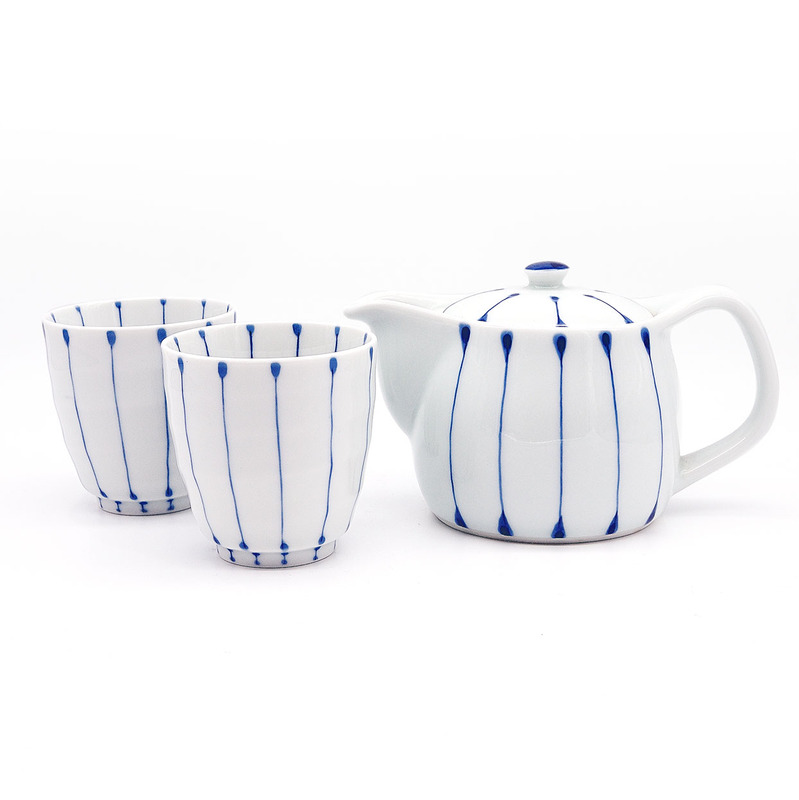 Set of teapot and two cups with the same pattern. 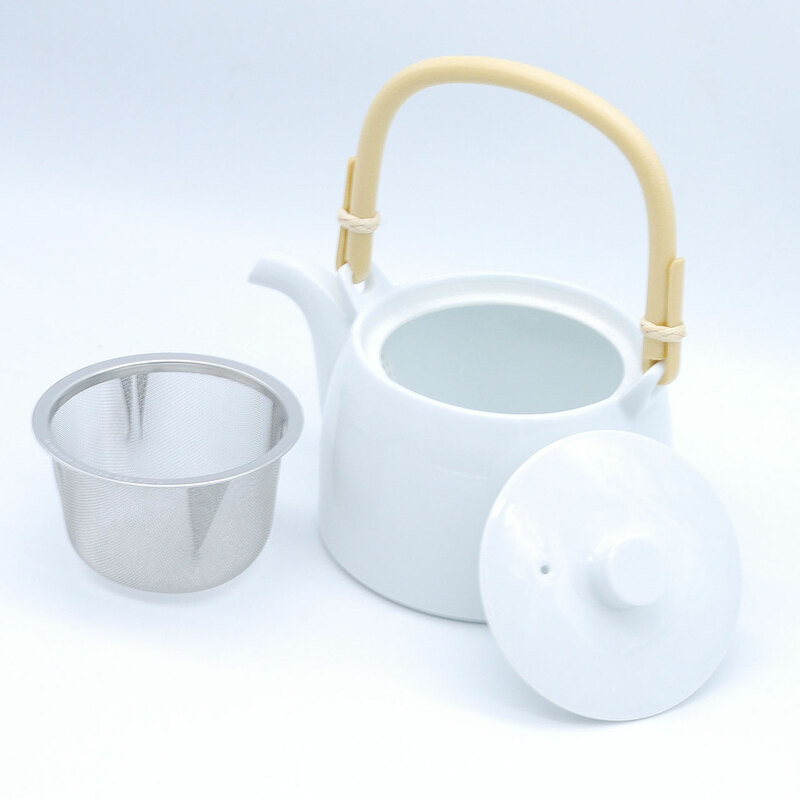 With internal stainless steel mesh strainer. 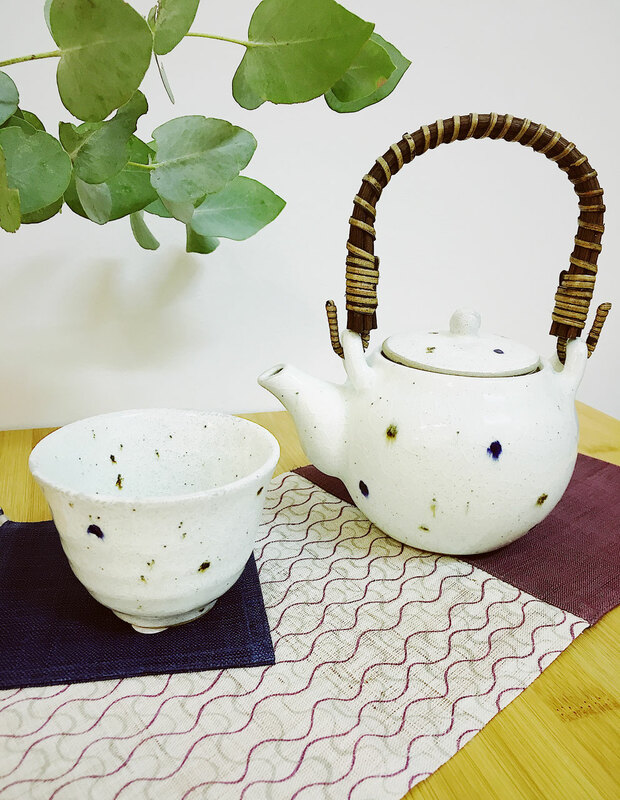 Teapot made from sand-coloured clay, with dark blue and caramel freckles. 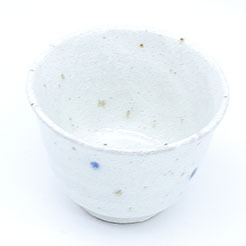 It has a translucent gloss glaze finish that is naturally cracked, giving it a vitrified organic feel. Set of one Japanese style teapot and four cups. 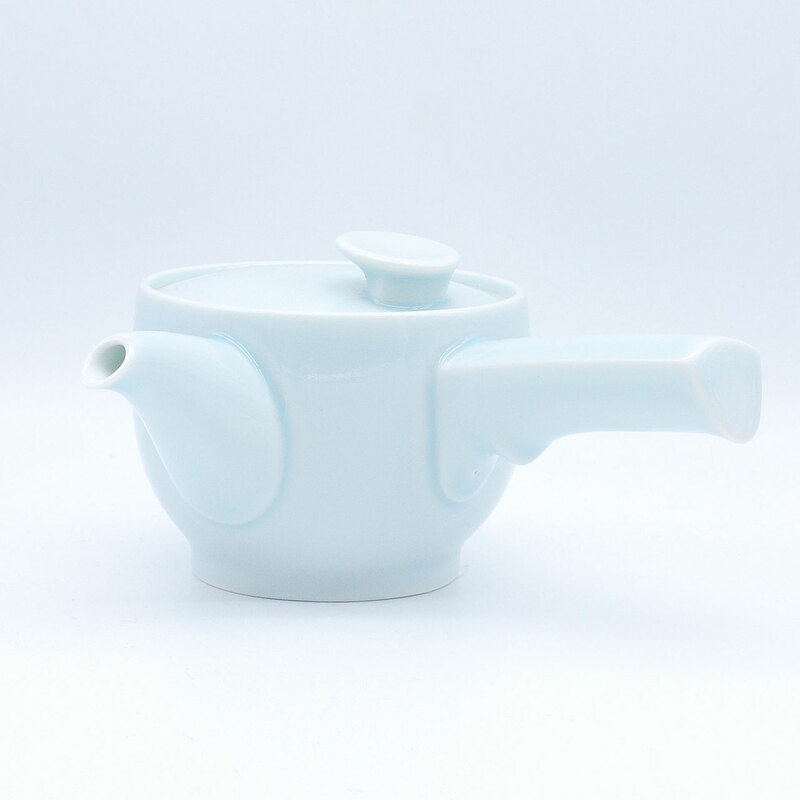 Made of beautiful white porcelain, its round and chubby look makes this teapot adorable. 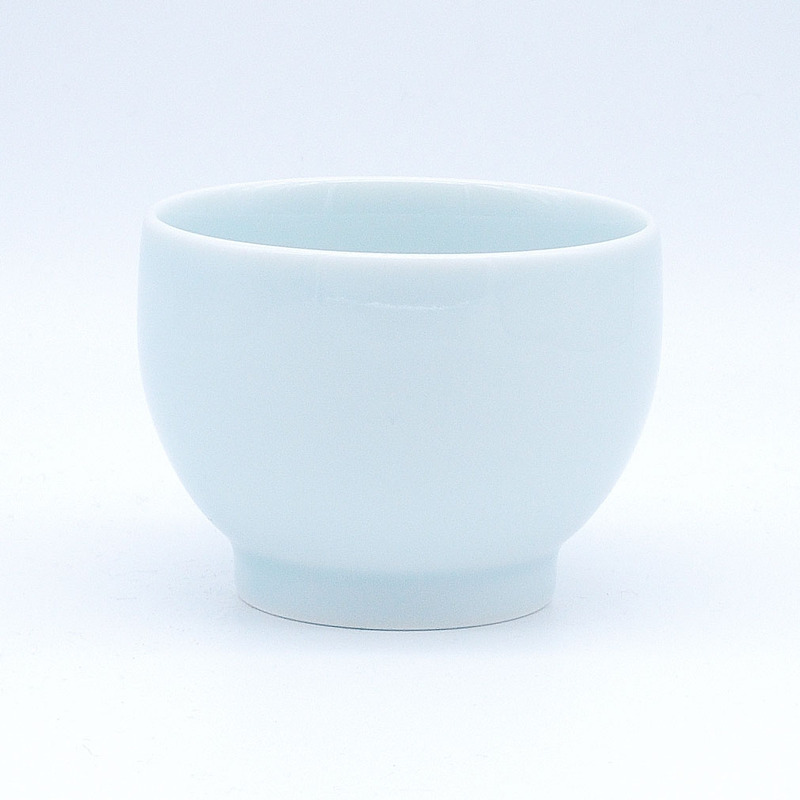 The tea cups are curvy square shape, which looks simple but unique. 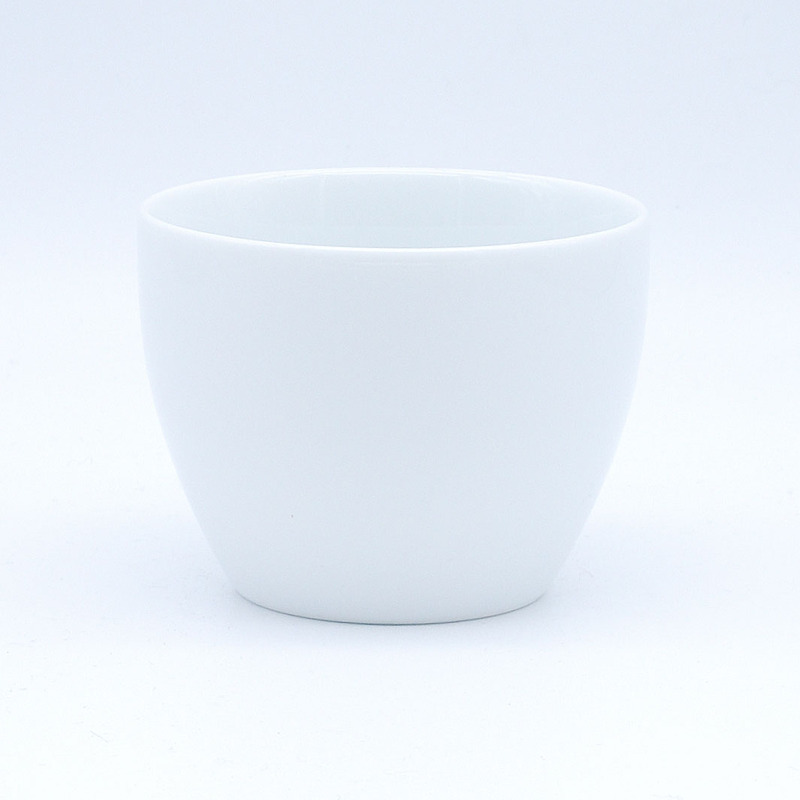 The set comes in a manufacturer's original black gift box. 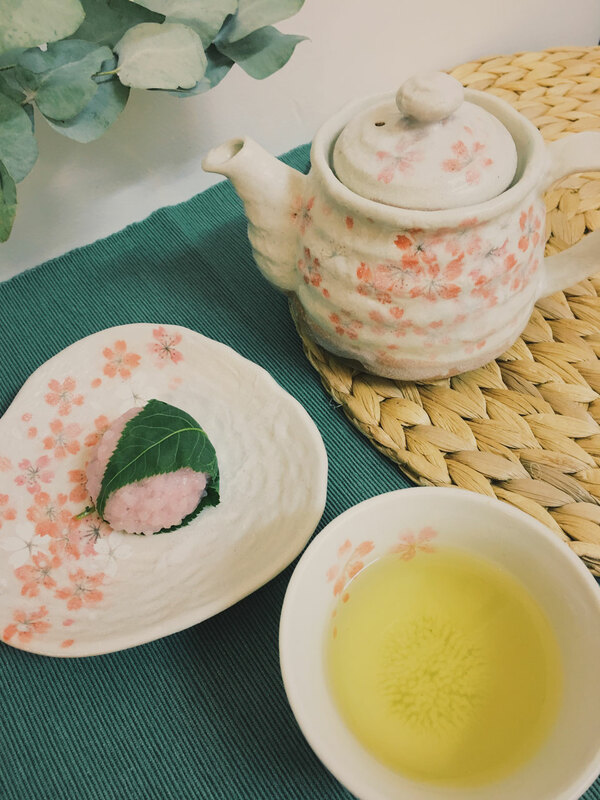 Set of two cups and teapot, made with off-white clay with a smooth finish and vibrant flower print. 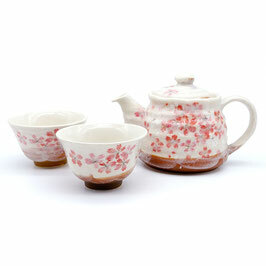 The teapot has red sasanqua pattern and the cups have red sasanqua and white magnolia patterns. 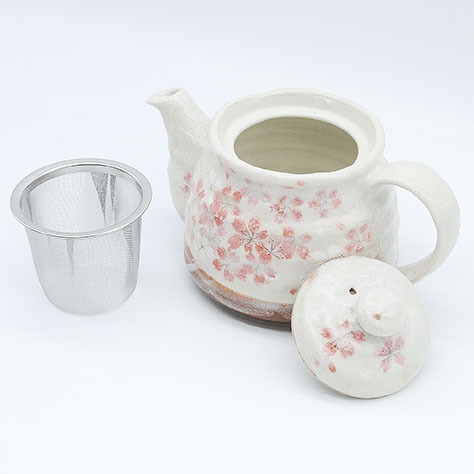 With internal stainless steel mesh strainer in the teapot. 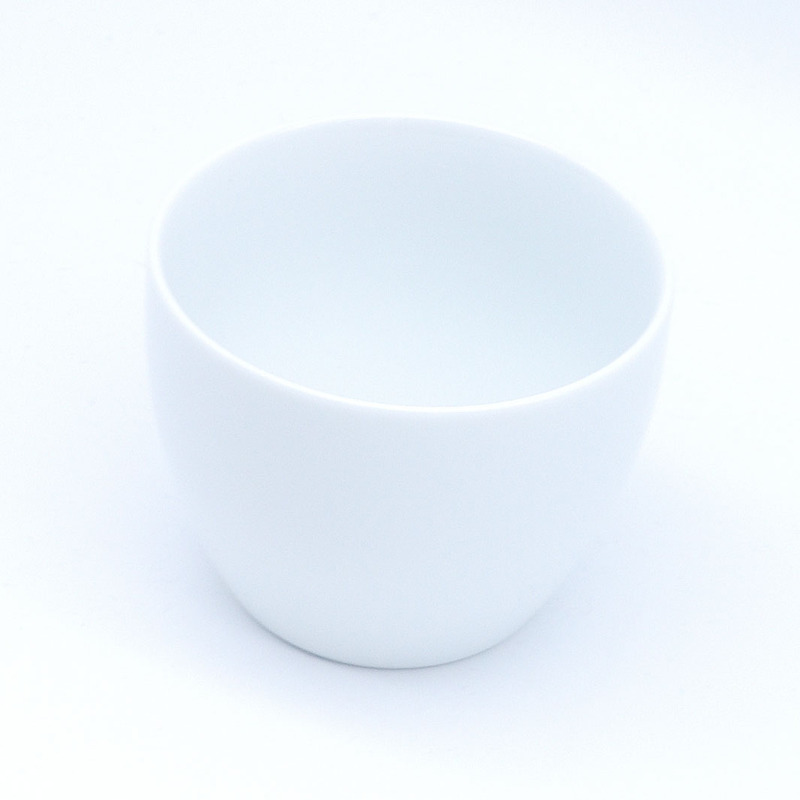 Simple and beautiful white porcelain tea set from "Hakusan" in Hasami, Japan. 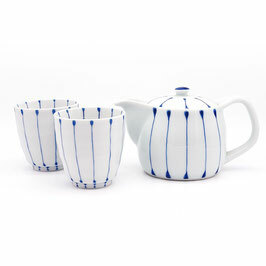 This tea set is something you won't be bored and can use for long time. "TEA DOBIN" series teapot and teacup received the "GOOD DESIGN AWARD" in 2008. 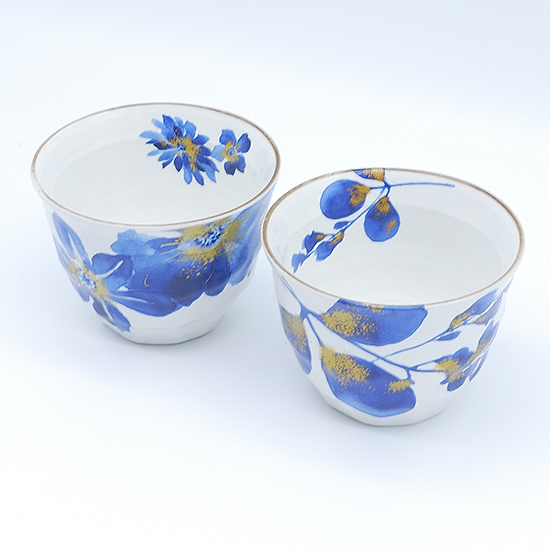 Another beautiful tea set "SAWA" from "Hakusan" in Hasami, Japan. 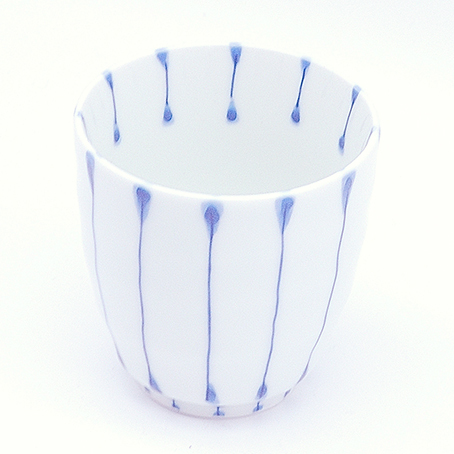 Shape is simple yet well-thought. 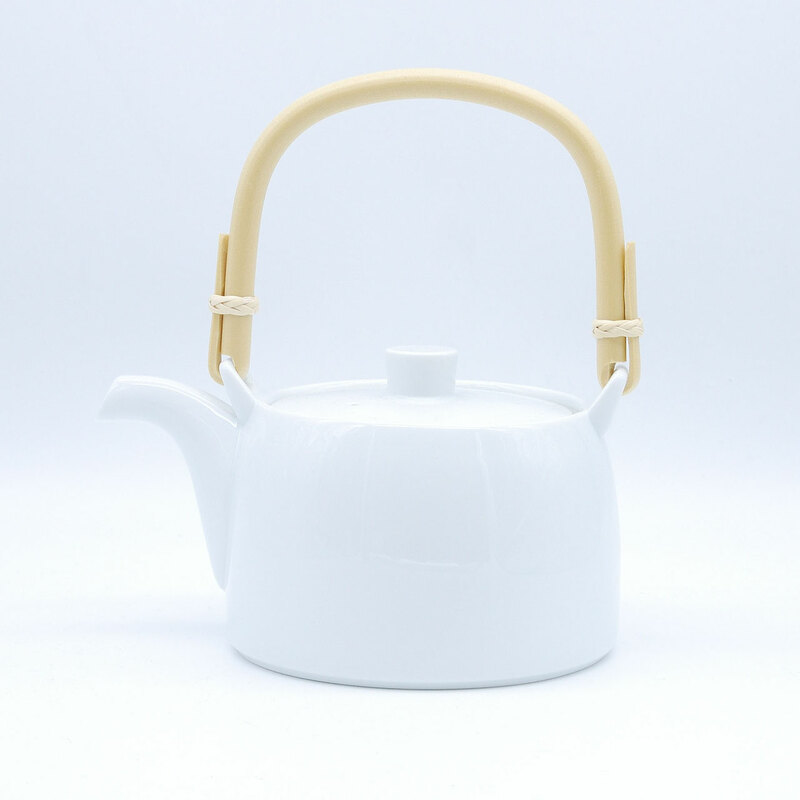 The thick straight handle is easy to hold, and the little knob on the lid located on the side so you can hold the lid with your thumb as you hold the teapot handle at the same time. 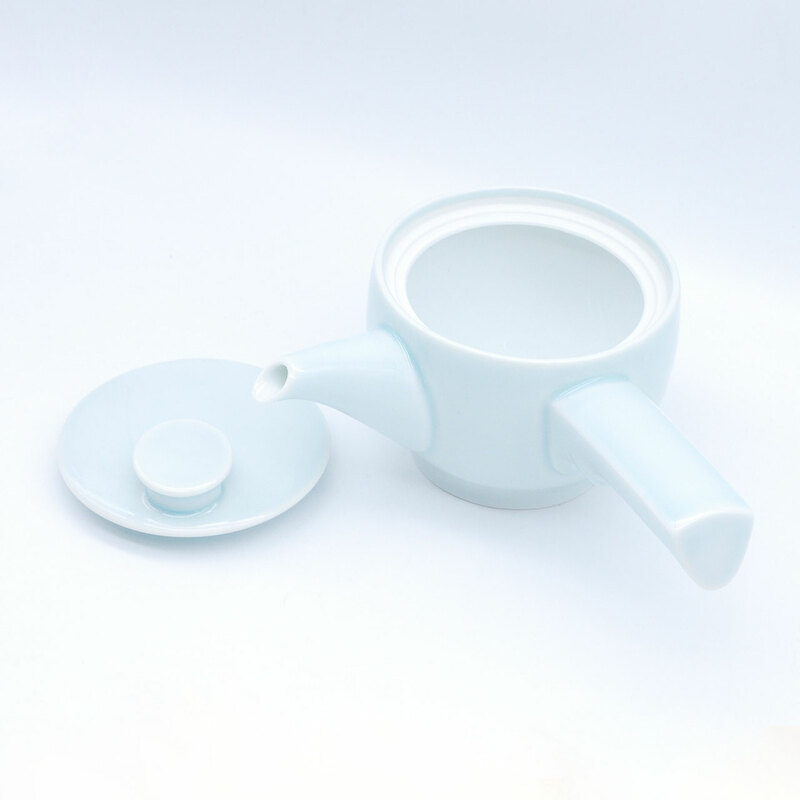 You can even use the knob to hang the lid on the side of teapot. 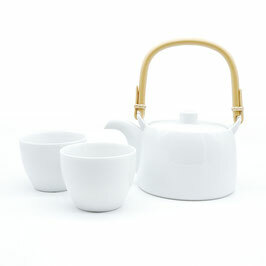 "SAWA" series teapot received the "GOOD DESIGN AWARD" in 2009. This simple yet elegant porcelain teapot has a contemporary design. 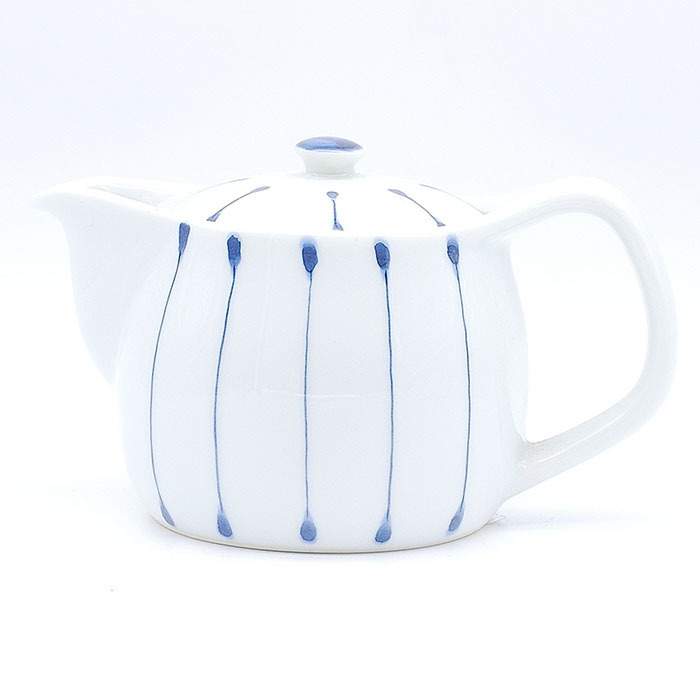 The colour is white with a hint of pale blue and it has hand painted navy blue lines on the body and also on the lid. 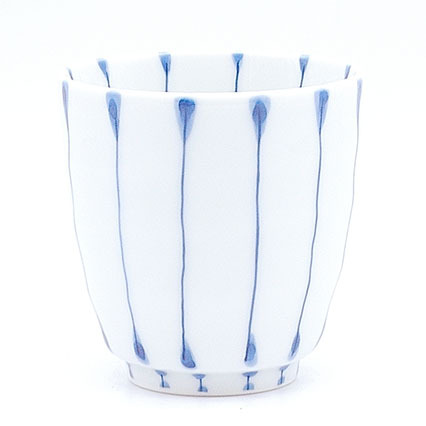 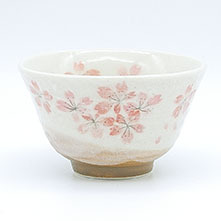 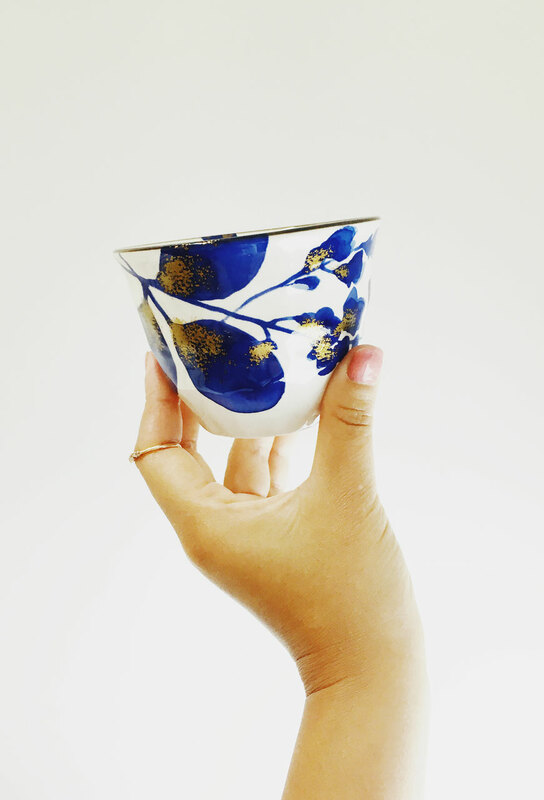 They are made in Arita, Japan where produces fine porcelain tableware. 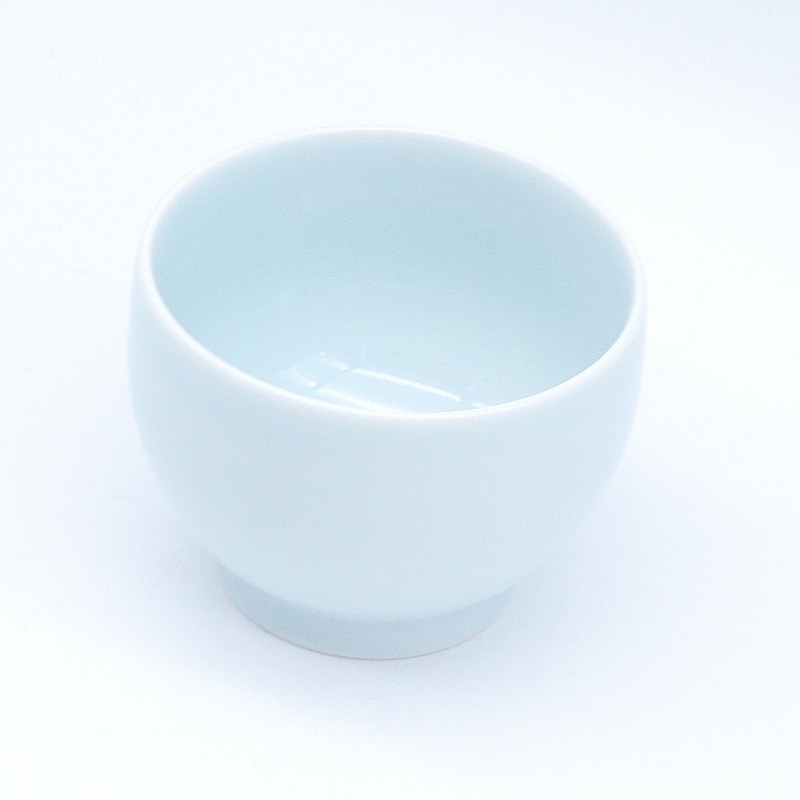 Egg shaped teapot: what makes this teapot unique is a slight concave detail at the side. 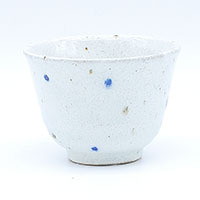 Available in dark moss green with a touch of brown hue at the side and also on the lid. 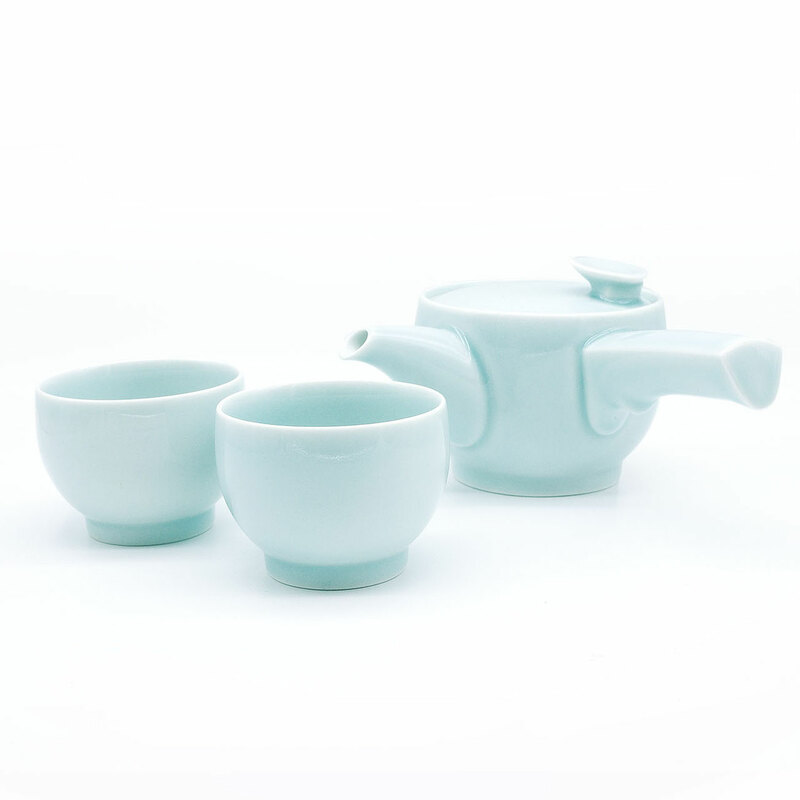 Set of teapot and two cups. 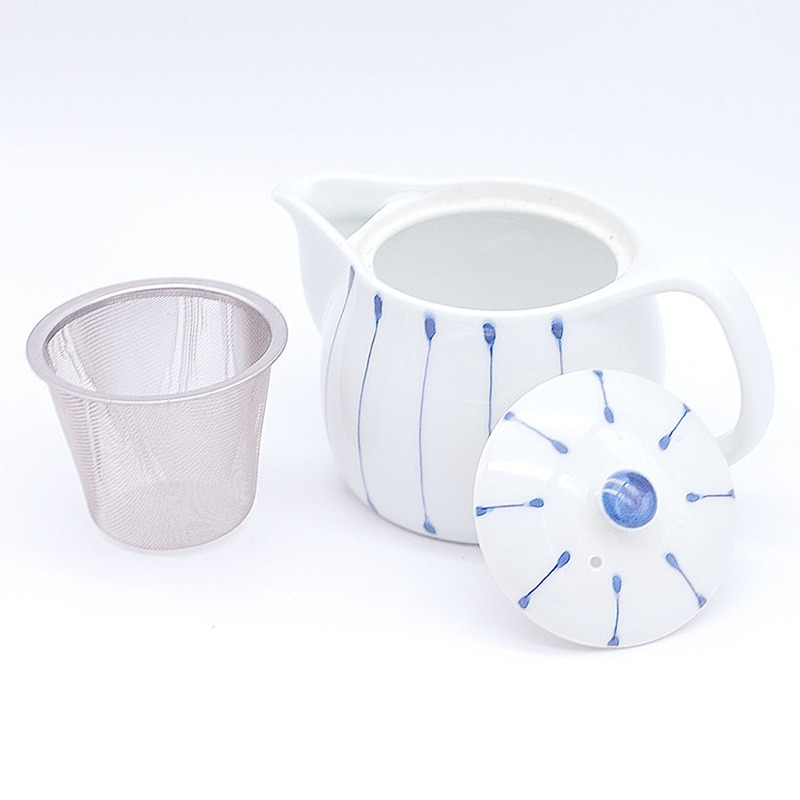 With internal stainless steel mesh strainer.